Watch it walk down the stairs alone or in pairs! Juggle it between your hands and listen to the Slinky sound! Made in the USA and still fun for a girl and a boy! 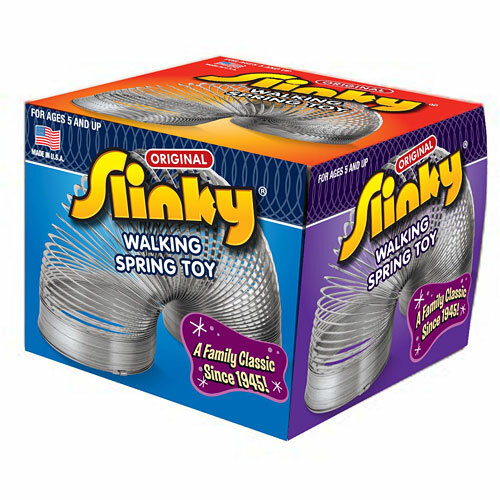 Durable metal makes for long lasting wiggly-jiggly Slinky fun!